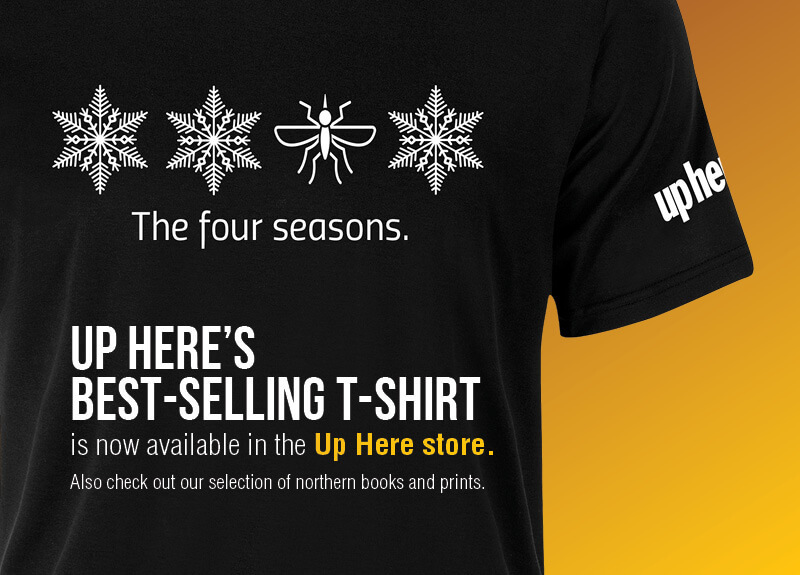 Up Here presents the second runner-up in this year's Sally Manning Award for Indigenous Creative Non-Fiction. Corinne Pilakapsi creates art—and warmth—with her parkas. The father of Inuktitut music has passed away. Take a look behind the scenes of our photo feature, inside a Yellowknife taxidermist's workshop. To tell the story of the North's ice cycles, Yellowknife composer Carmen Braden translates nature into music. They're more than just places to spend the night: it's the people of NWT Parks who make our campgrounds truly memorable. Like Bruce Davidson, a singular human and keeper of Prelude Lake Territorial Campground. Direct from the UP HERE studio, we bring you a recipe for beauty taken from the best day-spa around - Canada's Northern landscape. Our 'Up Here' editorial team try their hand at midnight golf in Fort Simpson, Northwest Territories. What do you do with that fall berry bounty from your backyard?